This hazelnut milk recipe is easy to make and has a divine flavor that is reminiscent of dessert. 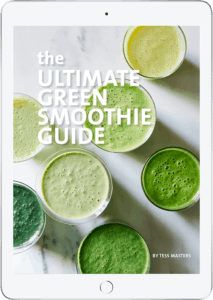 This recipe is raw, vegan, and paleo-friendly. Homemade hazelnut milk is really easy to make and has a divine flavor that is reminiscent of a decadent dessert. 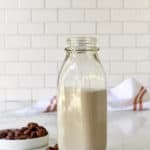 Chilled raw hazelnut milk is a delicious treat, is fantastic over oatmeal and other cereals, and is a fantastic base for sweet desserts and baked goods. Or, add some cacao powder and dates or pure maple syrup for decadent chocolate hazelnut milk. When selecting raw hazelnuts to make your hazelnut milk, it’s easiest to use shelled hazelnuts which have a smooth, brown glossy shell that should have no cracks or holes. To check if your hazelnuts are fresh, pick them up and shake them. If the nut rattles inside they have lost their moisture and spoiled. Shelled hazelnuts should be plump. Any shriveled hazelnuts have passed their prime. Always purchase hazelnuts from a health food store with a high turnover, and store in the fridge or freezer. They really should be used within a month. I only purchase hazelnuts as I need them. Hazelnuts are rich in protein, dietary fiber, magnesium and B Vitamins. Hazelnuts have the highest antioxidant content of any nuts; and the lowest percentage of saturated fats (as well as almonds and pine nuts) of any nuts. Hazelnuts also contain significant amounts of calcium, iron and zinc; and are a good source of oleic acid and other heart-healthy fats. They are also one of the richest sources of Vitamin E, and are known to help combat heart disease and cancer. Yeah…..keep telling yourself that as you make a second batch of this hazelnut milk and sweetener and chocolate! I sweeten hazelnut milk a little more than most other milks. I have put quantities of sweetener as a guide only. Sweeten to taste. For chocolate hazelnut milk, use 1/4 cup of pitted dates or pure maple syrup and add more to taste. 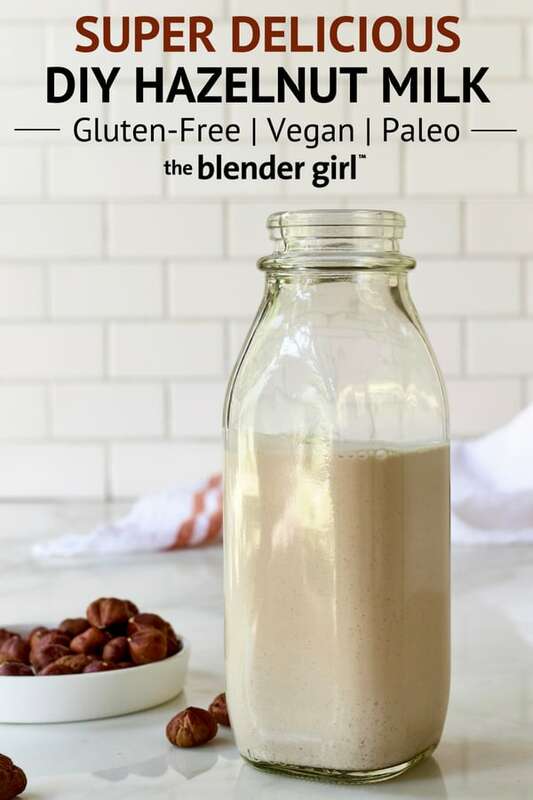 If you are on a sugar-free diet, the Vanilla Creme Liquid Stevia or English Toffee Liquid Stevia works really well in this hazelnut milk. This hazelnut milk recipe is really easy to make and has a divine flavor that is reminiscent of dessert. This recipe is raw, vegan, and paleo-friendly. Drain, and discard the soaking liquid (do not use this to make the milk). Rinse the hazelnuts several times to remove the anti-nutrients and enzyme inhibitors. Throw the rinsed hazelnuts, water, and salt in your blender, and blast on high for 30 to 60 seconds, until the nuts are completely pulverized. Use whole milk to maximize nutrition. Or strain for a smoother, more commercial-style milk for use in recipes. 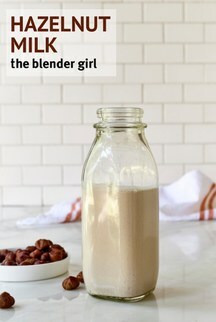 To strain, place a nut milk bag or knee-high piece of sheer nylon hosiery over the opening of a glass bowl, jar or jug. Pour the milk into the bag, twisting the bag closed, and gently squeezing it to pass the liquid through. Empty the hazelnut pulp aside. 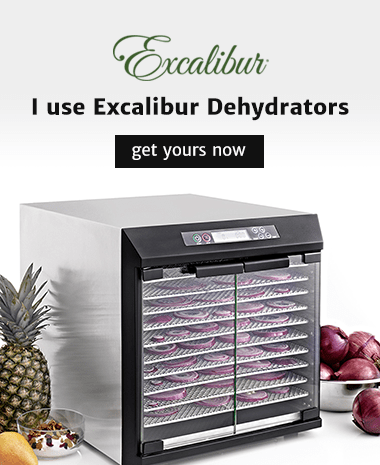 You can dehydrate this for use in smoothies or to make crusts. Store the milk in a sealed container in the fridge. Activated hazelnut milk (made with soaked hazelnuts) will keep for 2 to 3 days in a very cold fridge. Un-soaked hazelnut milk will keep for about 5 days. Learn more about making nut milks.